The National School Lunch Program (NSLP) is a federally assisted meal program operating in public and nonprofit private schools and residential child care institutions. It provides nutritionally balanced, low-cost or free breakfast and lunches to children each school day. 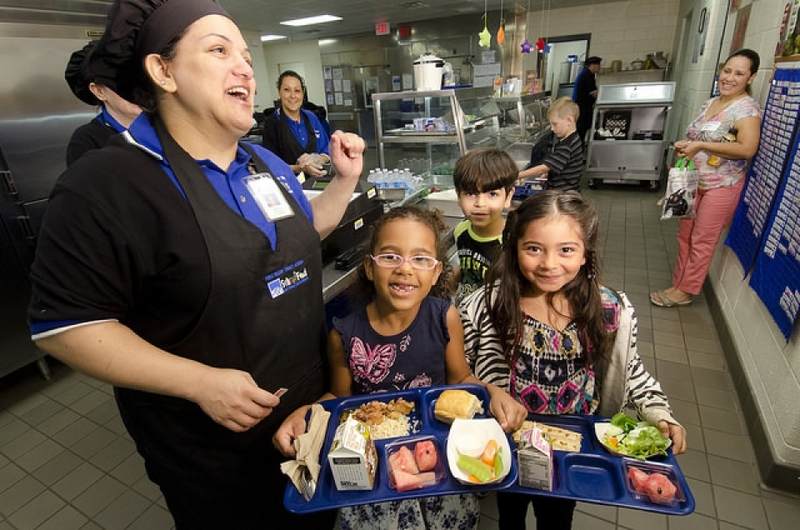 Through the Healthy, Hunger-Free Kids Act the USDA made the first major changes in school meals in 15 years, which will help us raise a healthier generation of children. The new standards align school meals with the latest nutrition science and the real world circumstances of America’s schools. These responsible reforms do what’s right for children’s health in a way that’s achievable in schools across the Nation. Families can apply at any time during the year. Parents do not need to be citizens for their kids to be eligible for the school meal program. Scroll down to view the income guidelines for reduced price and free meals. The School Breakfast Program (SBP) in Utah is severely underutilized. During the 2014-2015 school year only 34.3 low-income (students who qualify for free or reduced-price lunch) Utah students participated in the program for every 100 low-income students who participated in the National School Lunch Program (NSLP). When comparing SBP participation state-wide to NSLP participation among low income students, Utah ranks last in the nation for school breakfast participation. In the School Breakfast Scorecard for 2015-2016, the Food Research and Action Center (FRAC) established that a successful SBP is one that reaches 70 low-income students for every 100 low-income students who participate in the NSLP. If Utah were to reach 70 low-income students, an additional 61,304 students would be starting the day with school breakfast and Utah would receive an additional $16,079,276 million dollars in annual federal reimbursement funding. *Eligibility for NSLP and SBP.